by Sir George Hayter, oil on canvas, 1820-1823. National Portrait Gallery, London, NPG 999. 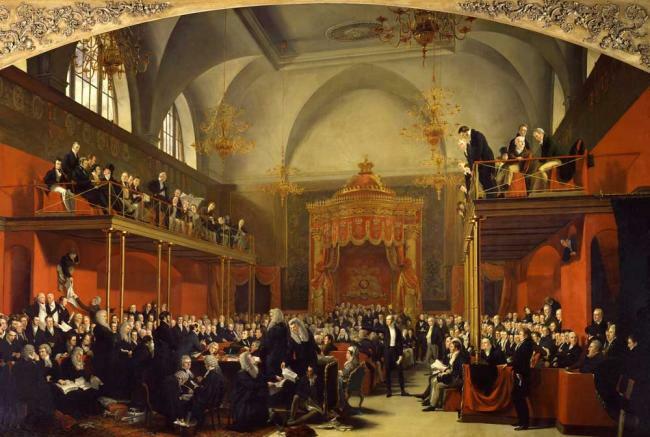 Sir George Hayter’s painting of the proceedings on the bill of pains and penalties against Queen Caroline in the House of Lords in 1820, the method used to secure a divorce between her and King George IV.